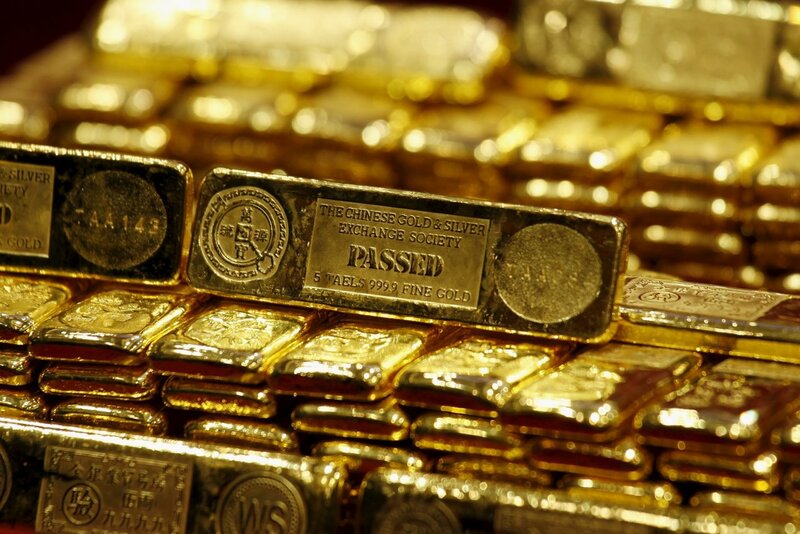 Gold prices closed slightly lower Wednesday after meeting minutes from the Federal Reserve revealed the central bank could raise interest rates following its June meeting. For now, one rate hike might not be enough to derail exchange traded funds such as the SPDR Gold Shares (NYSEArca: GLD), iShares Gold Trust (NYSEArca: IAU) and ETFS Physical Swiss Gold Shares (NYSEArca: SGOL). Gold ETFs were depressed last year ahead of the Federal Reserve’s first interest rate hike in almost a decade. However, with the Fed signalling a more cautious monetary policy amid sluggish growth, gold is finding further support from a prolonged low-rate environment. Nevertheless, if the Fed does hike rates, investors will have to look to real interest rates. Still, forecasts for gold are increasingly bullish with some market observers seeing significant upside ahead for the yellow metal even though bullion is already one of this year’s best-performing assets. “Anthem Blanchard, founder and CEO of Anthem Vault, told Yahoo Finance’s Seana Smith that he doesn’t expect gold prices to fall much further. In fact, he sees $1,250 as a price floor for gold, and expects the metal to push even higher on the heels of its best rally in three decades,” reports Yahoo Finance. Blanchard added that is possible gold ascends to $1,500 per troy ounce. Gold bullion prices have surged almost 20% this year as the Fed previously signaled it would slow the pace of interest rate normalization this year – higher interest rates typically weigh on gold prices since the hard asset provide no yield and would become less attractive to higher-yielding conservative debt assets in a rising rate environment.